You’re looking for a throughout Flipbook SOftware Review of the best solutions? Read on! The top five digital flipbook makers are provided by Yumpu (yumpu.com), FlipPageMaker, 1stFlip, FlipBook Creator (flipbook-creator.com), and Boxoft. The software from FlipPageMaker, 1stFlip, and Boxoft are available as installs from their sites and must be installed to the computer. The other two options are websites, available as online converters. Below are comparisons and prices of the best flipbook software available. What’s the Top Flipbook Software of 2018? All the following online flipping book solutions are designed to convert an existing, PDF into digital flipbooks. They are also all cross platform, meaning any of the software options chosen can be used on a Mac, PC or Linux, so compatibility is not an issue. Most of the options also offer unlimited numbers of flip book conversions. Things begin to differ in pricing options, templates offered, and a few features. I personally am a fan of legal, free options for software. These typically come in the form of open source applications, where a user can customize the performance of the application. Some companies, however, also offer applications offer a full software version at no cost, or partial software or trials that do not cost money, which are versions of their applications that are not able to easily be altered programmatically by the end user. I do not make money from my designs, and I prefer not to use a credit card for buying the software from individual software companies if I can help it. I also like to use software that is straightforward, has an elegant interface, and is easy to use. When I perform the conversion, I expect it to happen semiautomatically, with little output formatting on my part. Occasionally, I may need extra options when it comes to output formats, such as document sizings and layouts, but for the most part, I expect a base of settings for common export sizes and file formats that do not require work on my part. With these criteria in mind, I have found that there is a single bit of software which stands above the rest of the competition. The software from FlipPageMaker (not to be confused with Flipbook Maker) is offered as an install from their website. The software offers conversions of PDF files to flip book files in HTML, EXE and ZIP file formats to be used on websites or shared to other users. These flip books can be viewed on mobile devices in addition to full size websites. There are also options for sharing these flip books via social media sites, like Facebook and Twitter, or to be shared raw to other users through the company’s cloud serveices. Also included are several hundred templates for creating animated flipbooks or regular flip book designs. Advertising banners can be added to the flip book files on the top and right side of the flip book. Its website advertises a 4.5 star rating from users and a 30 day money back guarantee. The software retails for $299, but offers a trial version. It is available for both Mac and Windows operating systems. There is also a $99 option, which cuts out some of the features for multimedia and link integration. The 1stFlip must be downloaded from its website. It offers a $99 option, which converts a PDF file to an HTML5 flip book which can be viewed on a website or on a mobile device. It also offers a pro version for $299. This includes the same features as the $99 option, but adds additional functionality such as the ability to insert links and embed multimedia within the PDF document. It also offers a responsive design feature for testing flip book layouts on multiple devices and views, though this is only available for the Mac version. Both software versions offer trial versions and are available for both the Mac and Windows operating systems. Flipbook-Creator is offered as an online converter. The interface for performing the conversion is simply five entries of data. The first entry line asks for a title for the converted file. The second entry is a file browser. This is the button for the uploading of files to the online service. The service requires a Zip file of the PDF or image of the pages needed to be converted to flip book. The third entry is an email to send the converted file to. The fourth entry is a specification of the width of the page, using their arbitrary proportions for the height. The last entry is a captcha code. Once these five have been completed, the conversion button becomes activated, and the submitted files are converted and emailed. Boxoft offers software that requires installing from their website, though it doesn’t cost anything to install. This software allows for a user to create Digital Flipbooks with the page turning simulation and preserves links built into a PDF document. Included are templates for creating the designs of these Digital Flipbooks. The language of the digital flipbook can also be quickly changed using the software. The digital flipbook can be exported as an HTML, EXE or ZIP file format, or can be burned to a disk if required. It is available for both the Mac and Windows operating systems. Yumpu.com offers multiple options for creating Digital Flipbooks. There is a base option, which allows for an unlimited number of magazines, pages and offers HTML, JS and Flash support. This version can convert a pdf to flipbook free, but has advertisements, which can be turned off with a subscription of $10 per 30 days, which also adds Google analytics to the Digital Flipbook, and offers privacy settings. The WEBKiosks option adds WEBKiosks to the Digital Flipbook for $95 per 30 days. The APPKiosk options adds an iOS App for $219 per 30 days. PROKiosk adds subscription management and In app subscriptions and purchases for $339 per 30 days. This range of options covers a range of users, from those looking to experiment with designs and gain familiarity with Digital Flipbooks, to those that operate businesses from the publication of digital magazines. Yumpu is online and so can be used on the Mac or Windows operating system from a web browser. The site accepts PDF documents, which can either be dragged from the file window onto the drop zone of the site, or can be manually found after clicking the button for selecting a PDF from the computer. Unlike the other options for flip book converters, it is open for developers to register and make changes to the software of the site programmatically. The website offers a developer page, which offers access to the API and SDK information which can be viewed and installed to a developer’s computer via a GitHub repository. Which is the Best to Choose? As with most anything software related, the answer to that question lies in the user’s needs and use cases. 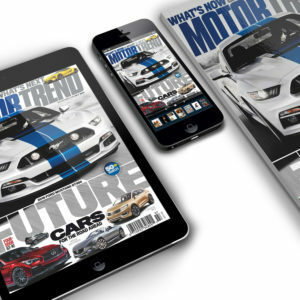 All the options out there perform practically the same task: converting a preexisting page design into a Digital Flipbook that simulates a real magazine. Where they differ is in the finer details of performance and options available. Yumpu.com gets many of these smaller details right. While it doesn’t offer the same template options as some of the other premium, and expensive, software options, it offers a larger amount of other features at a low price point. To start with, its base option allows for a user to create an unlimited number of magazines with an unlimited number of pages, whereas FlipPageMaker and 1stFlip require a payment of at least $99 for a user to get this functionality. This is expensive for those simply experimenting with Digital Flipbooks or merely practicing their designing. There are many users of yumpu.com, and thus many options of magazines and booklets that have been made using its services. These users are covered with a support center, for asking questions about any of the service options. If looking for inspiration, or just to see what the service can do, yumpu offers several viewable examples on their site that can be read and analyzed. The interface is also simple. There is a single upload center for the files, located on the home screen of the web page. Additional features can be accessed from the account panel, without cluttering the screen with superfluous information. Some of the other services bury the conversion window in a series of other windows or add unnecessary complications to the overall experience with limited user options. Compared with the other free flip book makers, Yumpu has a much cleaner and simpler user interface. Yumpu is also more straightforward to use than other free flip book makers. Yumpu is also scalable. It offers multiple options for multiple types of users, ranging from hobbyists to professionals. Each tier adds extra features that users may require at higher levels, without cluttering the system with unnecessary features or extraordinarily high fees. These monthly subscriptions are also able to be cancelled or changed at any time based on the needs of the moment, and since the service is online, it can be used with a single account on any device, and requires no software to be installed or uninstalled. This feature alone is what makes yumpu the best flipbook maker for me. Flipbooksoftware.net provides you with a list of the best Flipbook Software and Maker review websites.